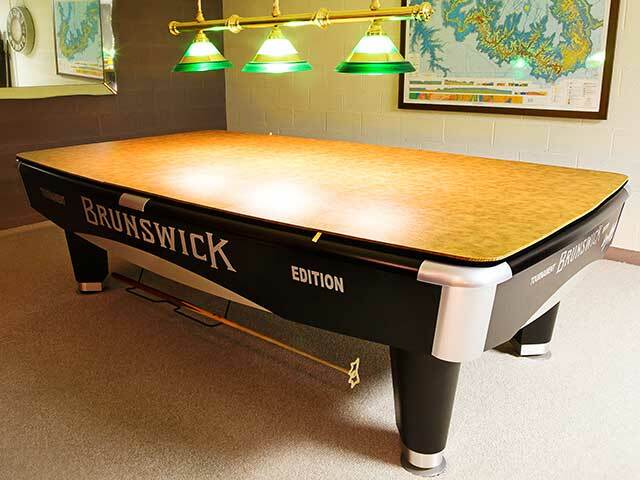 For prices, please call us at 1-800-541-0271 with the width and length of your pool table. Billiard Table Pad Covers protect the cloth felt-bed of the playing surface and, at the same time, offer a large working or dining surface. You will have a choice of custom making a “Pool Table Cover” or a “Pool Table Extender.” Pool Table Covers are made to fit the exact width and length, and Pool Table Extenders are made to enlarge the table beyond the perimeter. Each Billiard Pool Table Cover is custom made to fit your particular pool table, including the exact radius of your corners. Pool Table Pad Covers are made in manageable connecting panels. Each panel or section folds once like a book for storage. All panels stay securely together with a 3/4ʺ overlapping-step, Velcro locking system. Pool Table Covers are a full 13/16ʺ in thickness. The interior consists of two solid laminated layers of core/fiber/recovery board for added strength. All vinyls have a 100% cotton reinforced fabric backing for added strength. The bottom of the Billiard Cover is a soft, spun polyester-woven blend, safe for any finish. How Many Pieces Will My Billiard Table Cover Come In? Billiard Table Pad Covers are usually made in three to five sections or panels. The width and length of your Pool Table Cover determines the quantity of sections. All panels or sections are made to fold once like a book for storage. Billiard Covers less than 56ʺ wide are made in three pieces and come with five supporting foam inserts. Billiard Covers over 56ʺ wide are made in four pieces and come with five supporting foam inserts . Billiard Covers over 112ʺ in length are made in five pieces and come with five supporting foam inserts.